Janssen, the Pharmaceutical Companies of Johnson & Johnson, proves that it is possible to have a positive impact on people’s lives while also making a profit. Over the past century, the pharmaceutical industry has progressed by leaps and bounds. Since the early 1900s, there has been a thirty-five year increase in peoples’ life expectancy, and roughly half of that is believed to be attributed to pharmaceutical intervention. That’s the space in which Janssen is making an impact, and for many years the business has been working hard to prevent, treat, cure, and stop some of the most devastating and complex diseases that humankind are faced with. When Jane first stepped into the role she says she was incredibly excited about the opportunity; she was looking forward to working for a company that aligned so well with her own values and beliefs, and in an industry she was extremely passionate about. “I absolutely love what I do; this job is truly amazing,” she shares. “If you reflect on the pharmaceutical industry and the amount of innovation it brings to the world to alleviate disease and prolong lives, then it’s absolutely fantastic to be involved in that. “There were three things that really attracted me to the role. One was that Janssen is bringing great innovation to areas of high, unmet need which are well differentiated between patients. The second, which particularly stood out for me, was that the organisation has a focus on developing its staff. As you become more mature in your career you realise how important it is to develop people; your successors, and the future leaders. Finally, the third thing that excited me was the diversity within the EMEA region. “I looked at how Janssen could best serve its patients with its current portfolio. The question I asked was: How do we get our medicines to our patients in an increasingly challenging environment when it comes to affordability? That is the state of the healthcare sector at the moment. 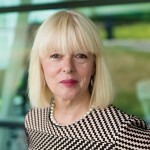 Jane was previously Chair of EFPIA’s executive committee, and is currently the Chair of Johnson & Johnson’s Corporate Citizens Trust for the EMEA region — a separate legal entity that carries the name and trademark licence. In this role she is able to play a part in corporate social responsibility and also sustainability, both of which she is very passionate about. Under Jane’s leadership, Janssen has been steadily building momentum in its operations. It now boasts a strong pipeline of innovative products that can quickly be distributed to patients in need. Over the past year, its key growth areas have been in oncology, neuroscience, hepatitis C, and immunology. According to Jane, the business will continue to develop those, as well as focus on some new areas. “New chemical entities continue to be the lifeblood of our growth,” she says, “but we have to layer onto that two things: excellence in execution, and having the best people in the team. I see that as being crucial to our growth going forward.